Plant and they will come! 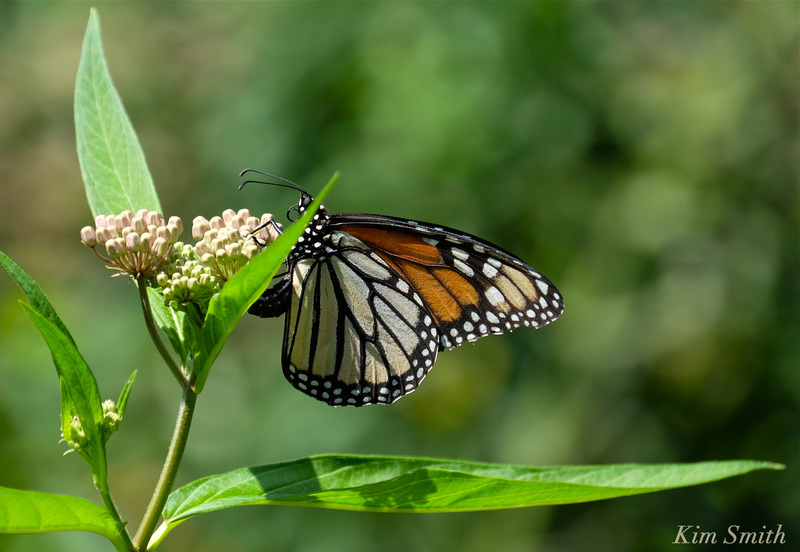 Alighting on the buds of our Marsh Milkweed plants, you can see in these photos that the female Monarch is curling her abdomen to the underside to deposit eggs. She will go from bud to bud and leaf to leaf ovipositing one egg at a time. A female, on average, deposits 700 eggs during her lifetime, fewer in hot, dry weather. Butterflies do not “lay” eggs; web would say oviposit or deposit. And you wouldn’t describe a caterpillar as hatched, but that it has emerged or eclosed. 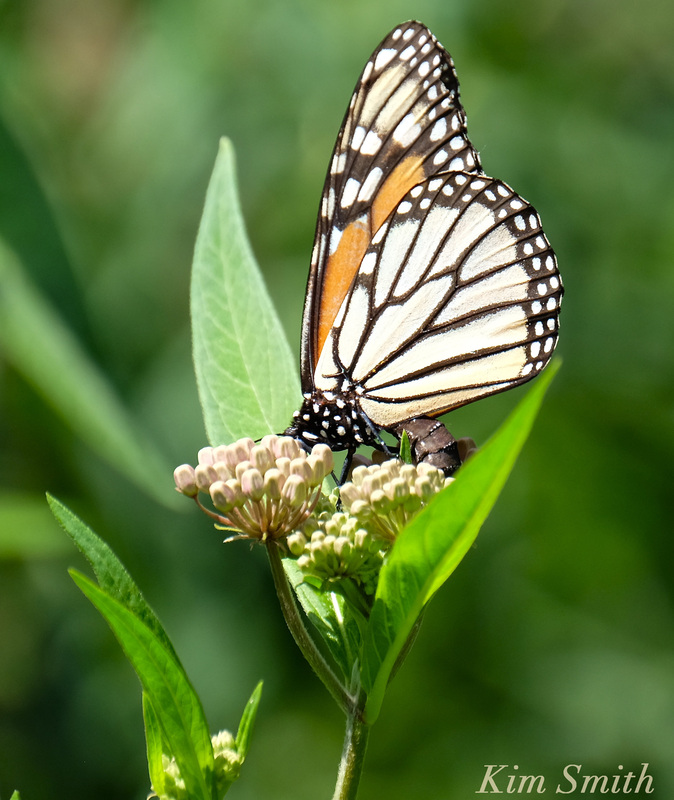 Grow Marsh Milkweed and Common Milkweed and you most definitely will have female Monarchs calling your garden home! In the above photo you can see how she is contorting her abdomen to correctly position the eggs. 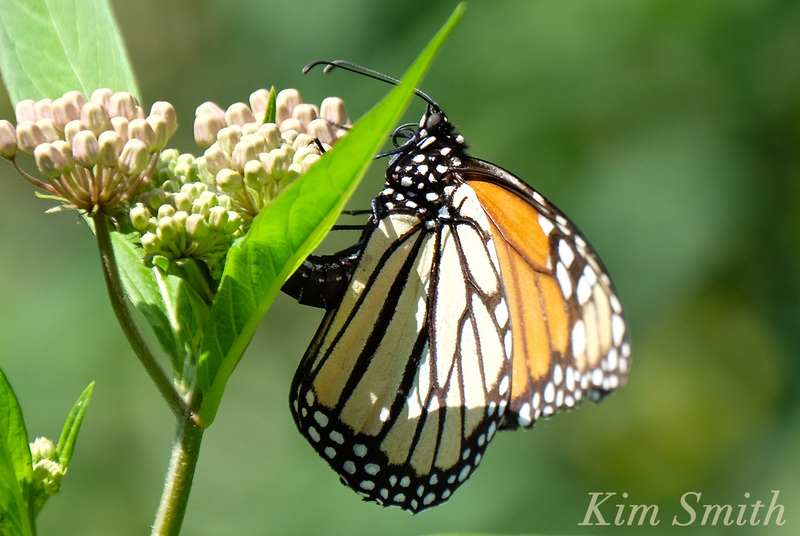 This entry was posted in Gloucester Massachusetts, Monarch Butterfly, Monarch Butterfly Film, Monarch Butterfly in Crisis, Monarch Butterfly Migration in crisis and tagged Asclepias incarnata, butterfly depositing eggs, Female Monarch Butterfly, Marsh Milkweed, Monarch Butterfly Migration on July 23, 2016 by Kim Smith.